This kind of messages are implemented by Microsoft because they want to inform you that you are about to access some unsecured content on a website. This is actually a security purpose message. Unfortunately, this kind of messages are more often annoying or unnecessary than useful. 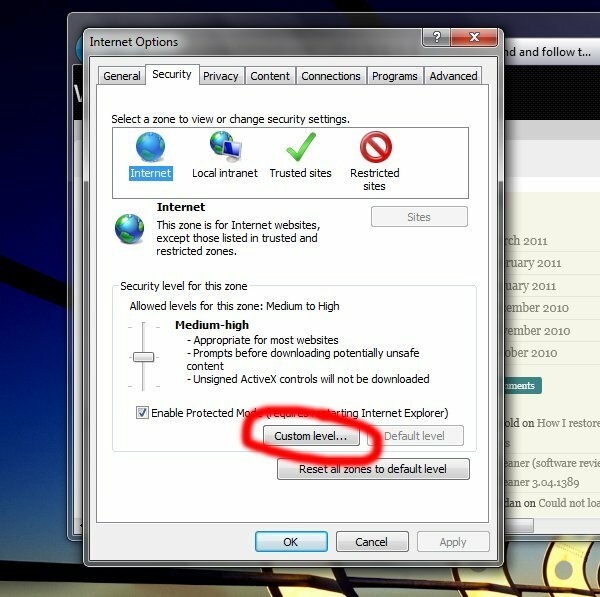 Internet explorer show this message when the same website page contain both secured and unsecured content: in this way, some unsecured scripts may have access to secured data on that page. Same thing happens when you play a game (unsecured scripts) on Facebook and want to publish that game information on your wall (secured action). 2. 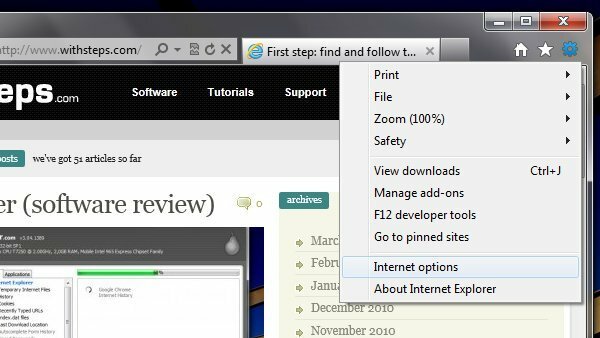 Go to Tools -> Internet Options. 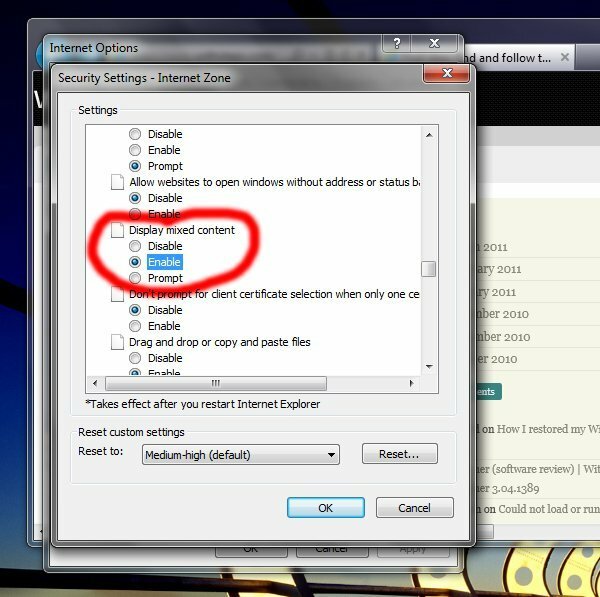 Then, navigate to Security tab. 3. Click on “Custom level” button. 4. Search for “Display mixed content” under Miscellaneous section. Change it to enable. Select Yes and that’s all. Thanks for the quick hint! This completely resolved my user’s issue while trying to run a report on a third-party finance app our company uses. Hope this will help someone. And congrats for your blog, he is just amazing, really. Thanks for the kudos. Like the way you explain things on your post. Well done.